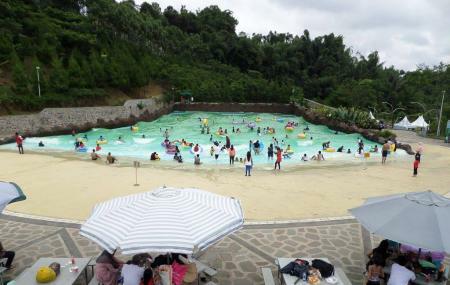 Kampung Gajah Wonderland is a popular amusement centre that offers varied recreational activities, rides and attractions that the entire family can indulge in and have fun. Popular attractions at the facility include horse riding, tubing, mini buggy, playground for the kids, kiddy pool, Segway rides, buggy adventures, ATV adventures, aqua boats, ride on the futuristic train, bungee trampolining, various water rides and much more. The park also offers Mini zoo and opportunities for fishing. There’s even a restaurant where you can enjoy delectable food items and drinks after a fun day at the amusement park. With such fantastic amenities, you are sure to have a great time at the Kampung Gajah Wonderland. this is a huge park but so boring.. seriously. management need a creative team to turn this park into something more interesting and attractive. It's written under renovation but until today 19 Jan 2019, it still close and doesn't show any renovation activity.. This place need so many things to build and fix. The place is just so plain. The games is no longer in function, i guess. It just no longer appropriate to be place where you spend your holiday. It's such pleasure place to visit as you spend your holiday with the whole package for family. With a large number of facilities and vehicle to challenge your adrenaline. It would be fine if it might have taken care properly.